Help the knight run through the maze and collect the coins. Watch out for the ghosts in this fun arcade game. Good luck! Challenge your skills and practice new tricks to be an awesome skater boy! Jump at the right time to avoid running into obstacles or falling in gaps. Collect coins on the way and go faster overtime! Shoot bubbles to match 3 or more bubbles of the same color. Sit back and enjoy this classic bubble shooter game with cute ducks in a Japanese bath. Flap and fly Quark through the starry Christmas sky! Help Santa Claus in this fun Christmas game. Have a Flappy Christmas! Find all the identical bird symbols in time to earn all the stars! Enjoy this archeological mahjong game! Rotate the pipes to let the water flow! Take care of Daisy&apos;s flower garden with your puzzle solving skills! Click to fill the cells, your goal is to reveal the hidden pictures in each level! Play and challenge your Pixocross puzzle solving skills in this addicting picross puzzle game . Find and collect the matching pairs and save the bunnies! Test your memory in this memory card game! This mysterious magician has created an enchanted version of the classic card game. Get ready to step into a world full of fun challenges and illuminating excitement. Little penguin opens up a popular ice cream shop and is driving around the town to provide tasty ice cream bars for his customers. Fill up the 10x10 board with tasty ice cream tiles and challenge yourself in this cute puzzle game ! Play this glamorous dress up game with countless fashion items! Stella and her friends are preparing for a fashion show. Combine your own style by picking the perfect clothes and jewels from your wardrobe! Play the best free Classic Mahjong game online that you will never get bored of! Find 2 identical tiles, pair them correctly to clear the board. Run through the maze with the knight. Can you collect all the coins in the maze? Watch out for the colourful ghosts! Grab the swords to make the ghosts temporarily vulnerable. Connect sushi before you run out of moves. Collect the right sushi to finish each puzzle! 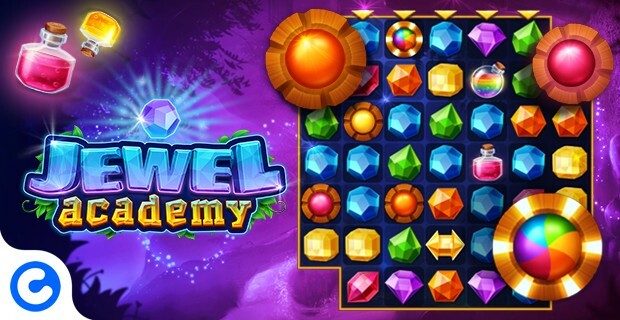 Be strategic and puzzle your way through over 30 levels. Chop fish, sake bottles, takoyaki balls, ebi tempura and more flying food in half. Don&apos;t cut bombs, because they will explode. Are you quick as a Ninja? Fangs for the memory with classic slithering fun! Even a monster snake cannot resist tasty cupcakes. Guide the snake towards the tasty treats but beware of collisions. CoolGames Studio tarafından yapılan en iyi ücretsiz çevrim içi oyunları oyna. En kaliteli oyunlar akıllı telefonunda, dizüstü bilgisayarında ya da kişisel bilgisayarında.